I know I have already talked a little bit about Chinese leaves in some of my previous recipes. Here, I hope I could give you the full picture, and clarify the common confusions between Chinese leaves and Pok choy. 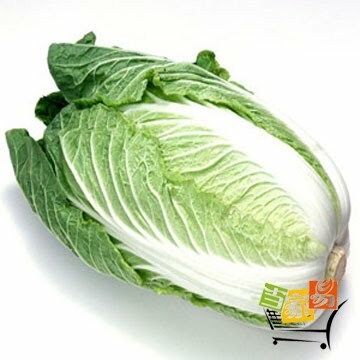 The ones that you can find in most supermarkets, with layers of leaves, white (creamy colour) ‘hard’ parts and ‘soft’ leaves parts, which can be green or yellow, are called ‘Bai Cai’, or ‘da bai cai’ in Mandarin, as ‘big white vegetable’. The Mandarin name actually coincides with the Cantonese pronunciation ‘Bok choy’, but these are really different things — well, actually not so different, same family of vegetable. 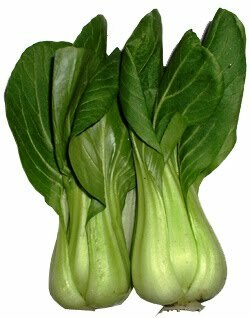 Bok choy is way smaller and ‘slimer’, and it often has more green leaves and a smaller white part. The kind of Bok Choy used in Cantonese cuisine is not commonly found in Mainland China. (Below left you can see the mainland Chinese version of ‘bok choy’ /small Chinese leaves; on the right, you can see the Cantonese ‘Bok choy’). If I am stressing this is because the recipes for these different types of leaves are quite different. ‘Da bai cai’ / Chinese leaves have a very long history in Chinese cuisine. It is said that seeds were found in a ‘6000 years old’ pot in Xi’an. They became popular in different regions in China after Sui/Tang dynasty. At that time, chinese leaves were an ‘expensive’ vegetable. But, now it is one of the most common and economic vegetables in China. In the Northeastern provinces, Chinese leaves are harvested in mid autumn. In the old days, because of the lack of vegetables in winter in the North of China, every household would buy hundreds of kilos of Chinese leaves to store up, or make them into pickles. (The taste of pickled Chinese leaves is very similar to the German sauerkraut, so here in England whenever I miss picked Chinese leaves dishes, I would use sauerkraut instead.) Stored Chinese leaves used to play an important role in northeast diet during the long and cold winter. So, people usually say that northern Chinese have strong emotional attachment towards Chinese leaves. Well, it is not bad at all to introduce some Chinese leaves in your daily diet. There is an old saying in (northeast) China, ‘in hundreds vegetables, nothing like Chinese leaves (you can benefit the most)’. Chinese leaves are very rich in fiber, which is not only good for detox, but also for preventing from bowel cancer. They are also rich in vitamins C,E, which is very good for skin, especially in autumn, when skin tends to get dry. Along with many other benefits, having Chinese leaves often is good for children’s body development, for accelerating the healing of external wounds healing, anti-aging, as well as for preventing cardiovascular diseases and diabetes. Since Chinese leaves are so common in Northeast Chinese diet, you can imagine there are so many different recipes based on them. They can be stir fried, made into stew, steamed, or made into salad. Chinese leaves sold in UK are different to those in northeast China. In China, they are bigger, and the outer leaves are normally less juicy, (sometimes, the very outer part has to be discarded), so they are perfect for stewing, for example. The very central part can be made into salad, which is very juicy, you can almost taste the sweetness. 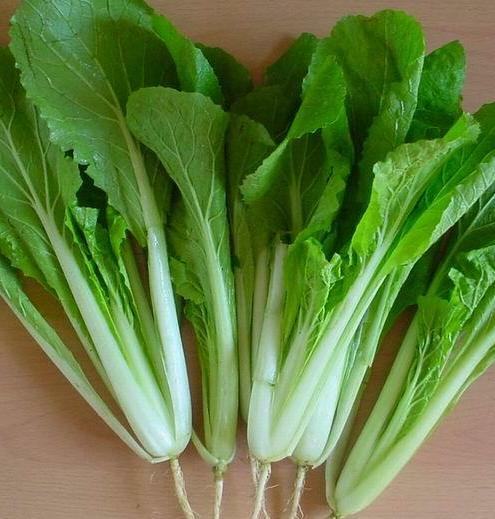 The Chinese leaves sold in England are normally produced in Spain, and tend to be juicy and crunchy from the very outer layer, I prefer using them for salad/ liang cai, quick stir fry or in soup. Since we are in autumn and soon winter now, I will share more Chinese leaves recipes here.